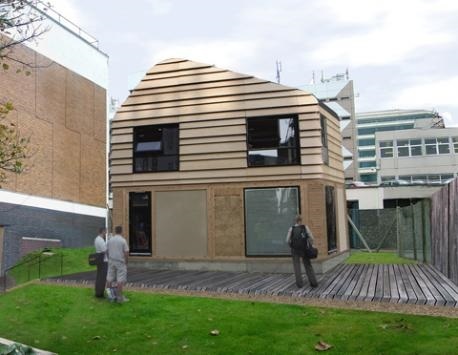 The aim of the design guide is to review and recommend low energy specifications for a building called ‘Waste house’ at Grand Parade campus in the University of Brighton. It focuses on addressing the benefits of sustainable buildings by designing it to achieve energy efficiency, economic viability which includes looking at reduced operating costs, reducing waste, reducing liability, enhancing productivity and learning; social costs and environment. It is important to educate people young and old regarding the contemporary, challenging and the new real world problems. My intention is to demonstrate that achieving low carbon design is a possibility and as Architects and Sustainability experts, giving low carbon design a serious thought should indeed be our goal! The project also aims to contribute towards developing integrated solutions to sustainable construction by using low carbon construction materials and energy efficient technologies. Why is low carbon design important? Sustainable development has suffered from an image problem. People have always seen sustainable development as a restraint to development per se. Sandy Halliday in 2008 argued that to achieve sustainable development, it is important to prevent inappropriate development. Human activities have resulted in the creation of air, land and water pollution which has resulted in undermining the security, health and quality of life we seek to protect. The realization that we are confronted by major global problems of climate change, ozone depletion, over-fishing, soil erosion, noise, resource distribution, chemical and electromagnetic pollution, deforestation, desertification, species loss and congestion.